When Tullow Oil (Tullow) announced the basin opening finds in Uganda and Kenya in 2009 and 2012, oil prices were soaring and both countries were jubilant over joining Africa’s oil boom. Undaunted by the collapse in oil prices, Uganda, Kenya and their exploration partners press forward with development of their massive oil fields estimated at 6.5 billion barrels in Uganda and 600 million barrels in Kenya. Getting the waxy crude to market was always going to be a challenge. Uganda is landlocked; its oil fields 1,350 KM from the coast. Kenya’s oil fields are 850KM from the planned export terminal. To complicate things further, the required heated pipeline, the longest in the world, will pass through environmentally-sensitive areas. Two of the three proposed pipeline routes envisioned Uganda and Kenya jointly pursuing a project carrying crude from both nations to export terminals on Kenya’s coast. The third route by-passed Kenya, running south through Tanzania. In 2014, Toyota Tsusho won a contract for feasibility design of a joint pipeline to Lamu in Kenya. A lot rides on the northern route. It is part of a massive regional integration project – LAPPSSET – that includes the port and power plant at Lamu, the crude pipeline from Southern Sudan and a highway to Ethiopia. The IFC has pledged $600 million to the joint Uganda-Kenya pipeline as part of a $1.8 billion package of regional investments. Final engineering studies and investment decisions are now on hold awaiting clarification of the pipeline route. Uganda and Total don’t appear to be worried about any delays their decision is causing. Kenya is putting a brave face on any frustration; publicly shrugging off Uganda’s apparent change of heart. Acting Transport Cabinet Secretary James Macharia is quoted as saying Kenya is “undeterred.” He claims everything is “...going according to our own plans. Nothing has changed." However, Kenya and its exploration partners will clearly be the losers if Uganda defects to the southern route. The costs to go it alone on the Kenya-portion of the $4.5 billion project are not insignificant. 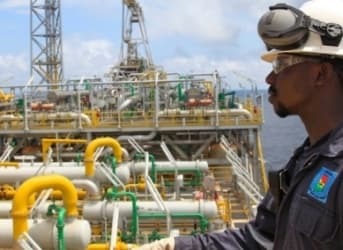 Africa Oil recently reiterated that the joint northern route to Lamu is the only economically-viable option. Uganda and Total might have the final say. Sooner or later Kenya is going to be forced to grasp the nettle and go it alone with Ethiopia and South Sudan. The clue is the dates and amounts: Uganda's oil was discovered in 2009 - six years ago, and what has transpired in the meantime from Uganda's autocratic governor? Sweet Tweet, except for the creation of Uganda's National Oilco - in 2015. Museveni is clearly in no hurry. We have no idea why. Secondly, Uganda has 10 times the amount so far found in Kenya. At 6.5 billion barrels you could pipe it over the Ruwenzori, across the Congo, offload on the West Coast somewhere, and still make a profit. The extra cost of a southern pipeline across Tanzania is easily affordable. Sometime, fairly soon, Kenya and it's partners will have to decide to build in the north and just invite Museveni to connect up at some later date. The idiosyncratic dictator is apparently not smart enough to realise that once Kenya goes it alone, his rights to join in and the costs of transportation are up for negotiation and he does't have a leg to stand on. Typical Africa. Everybody has to wait for the Big Man to decide what he wants, and heaven help the Wenachi in the meantime.